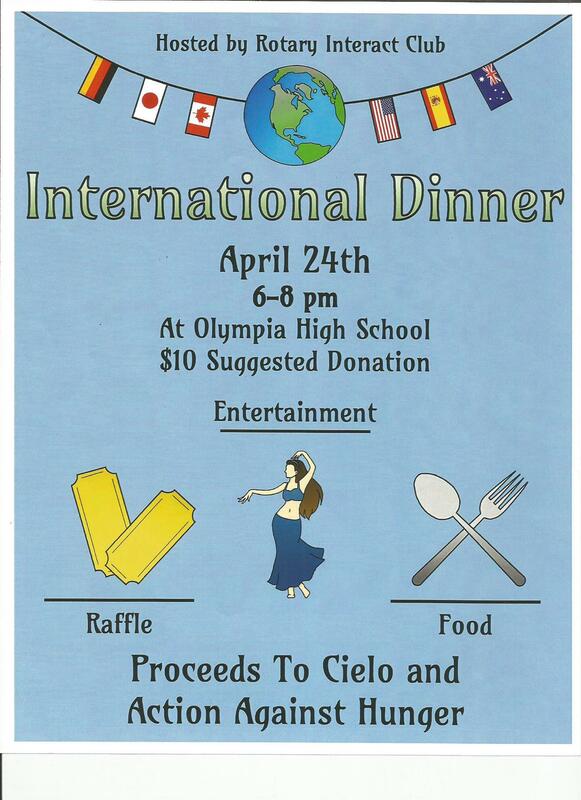 April 24th is the date for the Annual OHS Interact International Dinner. 6 PM until 8 PM. Great fun, entertainment and great selection of food at a very reasonable price while supporting our own Interact Club. An event you won't want to miss. Mark your calendars and save your appetite the date.